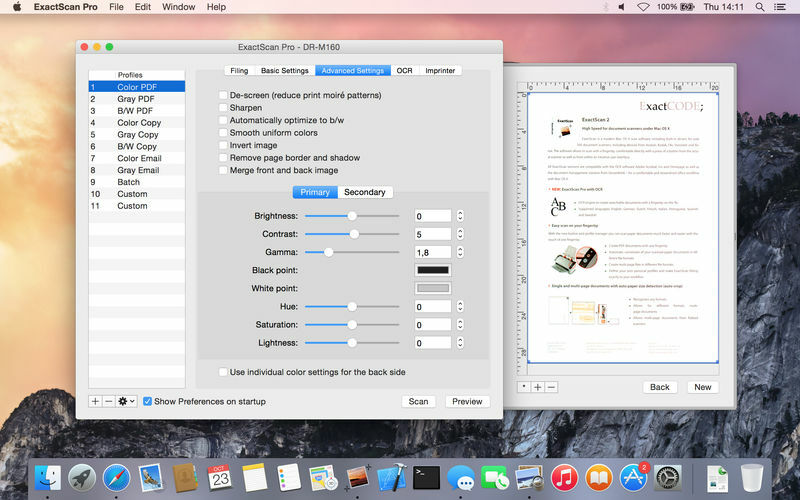 ExactScan Pro is a popular, easy-to-use OS X scanning software that utilizes built-in drivers for over 200 document scanners, including devices from Avision, Kodak, Oki, Visioneer, and Xerox. ExactScan's built-in scanner drivers cover the whole range, from Visioneer's portable RoadWarrior to dependable workgroup scanners from Xerox, Visioneer, Kodak, and Avision. 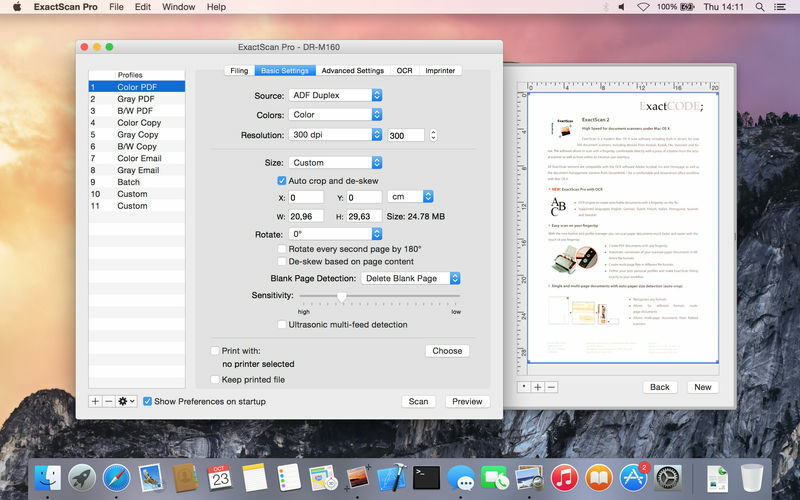 ExactScan allows for easy scanning of business cards, bills, and receipts, and ExactScan Pro's built-in OCR can directly save them as searchable PDFs. Scan all your documents for fast retrieval, and get rid of dusty paper archives. 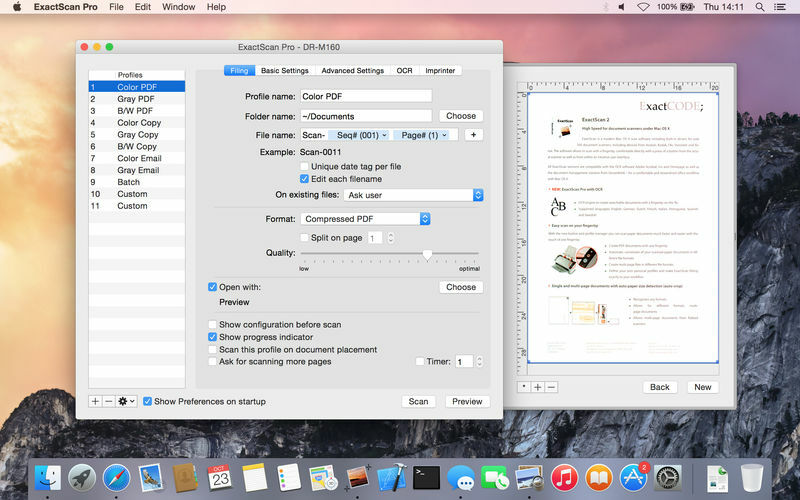 Find searchable PDF everywhere with Spotlight in a snap. Language: English, German, French, Russian and others.